We have all experienced challenges with shopping at one point in our lives. Whether it was selecting accessories that best complimented a dress, putting an outfit together, determining our correct size(s) or simply working up the courage to set a foot (high-heeled or otherwise) into a store. I cannot tell you how much money I’ve spent over the course of my life in purchasing the wrong size of something. Working up the courage to talk to a salesperson in a store has changed my life, not only in expanding my wardrobe but also in overall change in my confidence. In my experience salesclerks have been extraordinary helpful and have gone out of their way to help. However, I have to say I have never had an experience like the shopping experience I had yesterday. Last night the MN T-Girls had our monthly outing and we were treated to a private shopping event by the wonderful staff at Long Tall Sally in the Mall of America. Long Tall Sally is a clothing boutique that carries clothes designed for women 5’8” and taller (up to size 20) and sells shoes that range from 10 – 15. Basically, it’s a haven for girls like myself. Shopping can be an intimidating event as we’ve all needed to work up our courage to simply start building a wardrobe but also in navigating a new world of sizing. However Wanda, Cindy and Kiersten couldn’t have been more amazing. The event started after the store closed to regular shoppers and for the next two hours they helped us find clothes, put outfits together and helping a few of us buy their very first pair of heels. The event was a success on so many levels There were about 15 of us and we all had an amazing time shopping, talking, trying on clothes and meeting new friends. I fell in love with two dresses, one of which is perfect for Saturday night, the other perfect for Sunday morning. I will let you decide which is which. 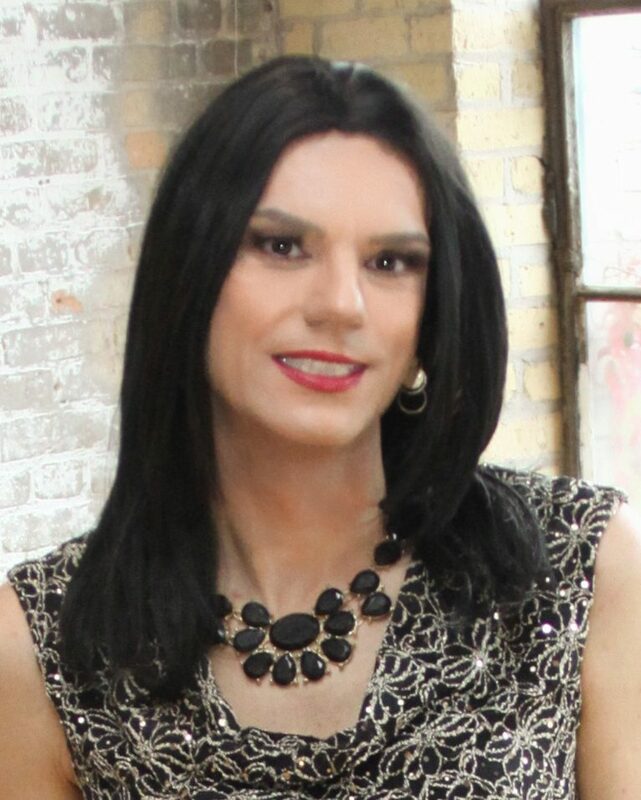 I really want to thank the members of the MN T-Girls who come to shop and have fun, and I really want to extend my thanks and appreciation to Long Tall Sally and their incredible staff. It was such an amazing night and the staff provided incomparable service and an unforgettable experience. Next postTrans Health and Punk Rock! Looks as though you all had a super time. Not my type of shop because I don’t make the minimum height but still would have liked to have gone out in your group. They also have UK outlets and web presence so must give them a closer look as I had rather written them off not being tall. PS I’m 5′ 6″ and perhaps a whisker or two. I have shopped with them on online. Love that they have stylish shoes in larger sizes. they have nice flats and more everyday styles Not many retail stores, but wonderful service online. Wish i could go shopping with you girls, sounds like it was a fun event. I know here in Cincinnati their are a couple of stores i visit as Stacy and sometimes in guy mode, it just can’t be helped! In either case if your confident in who you are and you just ask if i can try something on i’ve found most all woman to be very helpful and offer assistance. So cool that you were all able to enjoy such a special evening. Im Sooooo jealous !!! You girls had a good time. it’s nice that you had a boutique that was so accommodating. I wish I find a place like you girls went to.